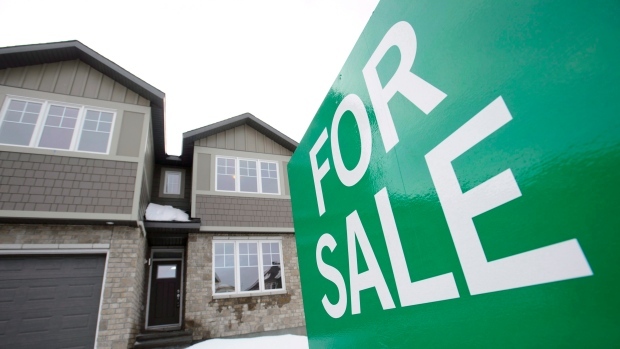 OTTAWA -- Home sales in Ottawa and the surrounding area surged nearly 16 per cent in January, as homebuyers showed they were undeterred by record cold temperatures and snowfalls. The Ottawa Real Estate Board says 829 residential properties were sold through its multiple listing service system last month, up from 708 sales in the same month a year earlier. Condo sales climbed 20.8 per cent year-over-year, while sales of all other property types increased by 14.2 per cent. The five-year total sales average for January, which is typically a slow month for real estate, is 683.4 sales. The board says the average price of a residential property sold last month in the Ottawa area was $432,829, up 1.5 per cent from a year earlier. The average price for a condominium was $283,990, up 7.7 per cent year over year. The board says Ottawa's housing market have seen a "reasonable appreciation" in prices unlike Vancouver and Toronto, while new builds have helped prices remain stable and provide enough supply to keep the market equitable. "Similar to the fact that you don't need to own a BMW to get where you want to go, some of the more expensive neighbourhoods in the city are a lifestyle choice. The fact is there is quality affordable housing available for almost every level of homebuyer in Ottawa," said board president Dwight Delahunt in a statement.